I haven’t told many people this story, but the persistence of doubt in the political arena of global climate change has my hackles raised (see Steven E. Koonin’s essay, “Climate Science is Not Settled” in the Wall Street Journal). I know a thing or two about doubt. I know the feeling, as an environmental scientist, of second-guessing my calculations, the nagging paranoia that I’ve based important regulatory decisions on incorrect assumptions. And as a writer, I am well-acquainted with the metallic taste of self-doubt — of sharing too much, or not enough, or misjudging my aesthetic. To a certain degree, I think it’s healthy to second-guess. Keeps one from settling too comfortably on their haunches, so to speak. But sometimes, the tendency to be uncertain can be hijacked by others with thinly veiled agendas. In February of this year, right before I was to deliver a reading of an essay from Creative Nonfiction’s The Human Face of Sustainability contest, I was alerted by CNF editor Lee Gutkind and someone from the marketing staff of Arizona State University’s Global Institute of Sustainability that there was some controversy regarding my piece. Not to worry, they said, discussion is good. But they wanted me to know in case something came up during my reading. Then they shared what others had said. Ouch. I was certain I was about to be ambushed. The threat of attack sent me into a manic state of self-doubt, and I scoured my research to double-check the statistics and prepare for my reading as if it were a thesis defense. These were scholars, after all, people with a helluva lot more academic credentialing than me. At some point though, late in the night before my reading, when my anxiety had reached critical mass, I decided to focus my research on my attackers instead. Sure enough, the special interests began to emerge — representatives of, and affiliations with institutes and organizations against chemical regulation, funded by petroleum, chemical, and pharmaceutical industries. 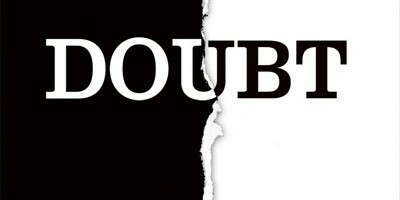 I had just experienced firsthand the strategic employment of doubt, the attack-via-uncertainty. The defensive offensive. This is a card frequently played in the environment-verses-industry game, the latest round evident in Steven E. Koonin’s “Climate Science is Not Settled” piece — which is, of course, being applauded by fossil fuel lobbyists (for more discussion, see Andrew Revkin’s blog post “Certainties, Uncertainties, and Choices with Global Warming” at Dot Earth). Better not do anything about climate change… the science is still uncertain. Score one for the status quo. But here’s the thing we need to understand: while scientific uncertainty is a valid topic to wrestle and discuss, it is currently being (ab)used as a ploy to distract from the real issue at hand — by which I mean the ethics behind our culture’s approach to things like chemical regulation and climate change. Ethical questions such as: Is it morally acceptable to burden future generations with providing the evidence of harm? Or as Kathleen Dean Moore and Michael Nelson have asked in their co-edited book, Moral Ground: Do we have a moral obligation to leave future generations with a world as rich in possibility as the one that was left to us? These are the questions that should drive our actions, and they are exactly the ones environmental opponents seek to avoid. Why? Because their answers are less susceptible to doubt. Despite the uncertainty, I do believe that the scientific evidence of human-caused global climate change is solid, as is the scientific argument for using the precautionary principle in chemical regulation. The data glare at us like a mid-day sun, and the doubt cast by climate deniers and other industry loyalists is a tactic — just a moment in time when the sun is obscured by the moon. There was a time when people were afraid of the solar eclipse. Today we should know better than that. I’m curious as to your thoughts. I’ve recently described myself as “agnostic” regarding climate change-and been verbally beat up by just about everyone I know. My skepticism is based on A) small sample size (if the age of the earth was a basketball game, man would appear just in time for the last .003 seconds). Seems like a very little time to gauge things. And B) How do know it is caused by man? CO2 and temp. increase do not seem to correlate especially well. In addition, there are 2 things that bother me about the certitude of my haters. 1) They talk, but don’t live their lives as if they actually believed what they were preaching-ideed I believe I have a much smaller carbon footprint than the people that mock me. Also, the remedies if any that are offered (ie. changing light bulbs) are as likely to ameliorate the effects of global warming as cowering under my school desk would ameliorate the effect of a nuclear blast. 2) Concensus: It is thrown about like a childish game of red light-green light. It is not “fact”. If it were, the world would still be flat. Which brings me back to doe. Not that long ago, people stood on their stoop, looked at the .003 % of the earth they could take in and saw that it was flat. Only an idiot would think otherwise. Thanks for your comment, Kurt. I think it’s good to evaluate the scientific evidence and make an educated determination based on what we know — but I also think some people use doubt as a tool to prevent the scientific & moral discourse regarding climate change from interfering with their predetermined conclusions about how they want to live (that is, continuing to have an economy and energy infrastructure based upon fossil fuels). My point being that this is as much of an ethical discussion as a scientific one, and exploiting doubt about the science is being used as a strategy to avoid having that important ethical conversation. And it shouldn’t surprise us that those who stand to lose the most with a transition to alternative energy are the ones most focused on the uncertainty in climate change science. A) True, our time on earth has been relatively recent, but I do not think that precludes the possibility (probability) that man has had an active role in influencing the levels of carbon dioxide in the atmosphere. Big geologic events can happen relatively quickly: remember the prevailing theory concerning the mass extinction of dinosaurs is an impact from an asteroid, which would have also occurred in a blink of the geologic record — and I think the rapid displacement of carbon from the subsurface into the atmosphere via the Industrial Revolution and recent history would certainly qualify as a large-scale event, geologically. B) How do we know it is caused by man? Again, I would enter into evidence the large-scale displacement of carbon from the earth into the atmosphere during the Industrial Revolution. This, coupled with ice core data showing trends in atmospheric conditions and earth temperatures over the past 800,000 years is relevant. Ice core records have shown cyclical fluctuations in earth temperatures and carbon dioxide levels over time (glacial and interglacial cycles) — fluctuations than can be explained by slight variations in the earth’s orbit (e.g., “Milankovitch cycles” — or slight changes in the earth’s axial tilt). However, ice core data also show that carbon dioxide levels have been steadily rising since the Industrial Revolution, rising well beyond the regular cyclical rhythms recorded prior to then, and are currently 40 % higher than levels ever recorded prior to that point in time. So I would argue that we DO have good data — 800,000 years of data, in fact, upon which these conclusions are based. If you graph the temperature & carbon dioxide level cycles from the past 800,000 years, the rhythm looks a little like the earth’s EKG — and the sudden, off-the-charts rise in carbon dioxide over the past few centuries looks like a huge heart attack. Why are scientists so worried? Because they know the very strong correlation between carbon dioxide and earth temperatures. If carbon dioxide levels are showing an unprecedented rise, temperature is sure to follow. And we don’t have any record for how bad it’s going to get. As for your complaints about the certitude of climate change believers: 1) I think you’re right, there is certainly some hypocrisy between the beliefs and behaviors of this audience. Call it an addiction to the status quo, or well-informed futility, I’m not sure. This movement is going to take more than lightbulbs for sure. It will take DIvestment in fossil fuels and INvestment in alternative energy. 2) Regarding your second complaint, I’m not sure what you are saying here — maybe you are trying to draw a comparison between ancient earth-is-flat believers and those of us who are convinced of the scientific basis for climate change? I would argue that the comparison is rather unfair, considering the disparity in the amount of information evaluated by these two groups. And I think it’s rather convenient to assume that some new scientific discovery is just around the bend, ready to render climate change as ridiculous as a flat earth. But that’s just my opinion.